See Brian Cox’s Wonders of Life Top 10 Facts! Brian Cox from the BBC ‘Wonders’ science shows has just released an app called Brian Cox’s Wonders of Life on iPad and iPhone. It’s packed full of facts about nature and animals. 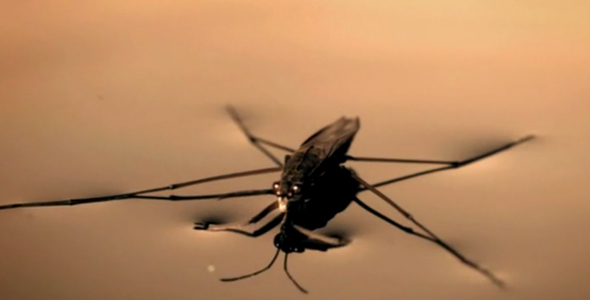 Every square millimetre of a pond skater’s body is covered with tiny water-resistant hairs. Without them, a single drop of rain would be enough to weigh the creature down and sink it below the water. The ‘smasher’ family of mantis shrimps can unfold their forelegs at speeds of over 80 km/h, with an acceleration of 10,000 g. This extreme acceleration creates a shock wave so powerful that the water temperature along the shock front rises to several thousand degrees Celsius. Even if the initial punch is misplaced, the shock wave alone can stun or even kill the prey, or shatter a glass tank. The collision of three galaxies, known as ‘The Bird’ due to its shape, spans a distance of over 100,000 light years. That is roughly the size of our Milky Way, which contains almost half a trillion stars. The shock wave from the collision is causing clouds of interstellar dust and gas to collapse, forming new stars at the rate of 200 solar masses every year. An average adult monarch has a life span of little more than four weeks, but, when faced with the 4,000 km journey south, a ‘methuselah generation’ emerges; a generation that lives nearly ten times longer than its parents and grandparents. Bent-wing bats breed just once every summer, with a single pup. A little bent-wing bat may eat in excess of its own body weight in insects each night, simply in order to stay warm. In a single night the bats travel up to 80 km from the cave in search of food, returning at dawn to nourish their young. There are a species of jawless lamprey that feed by attaching their mouth to their prey and grating their way through the flesh using their multitude of teeth until they reach the blood and bodily fluids within. 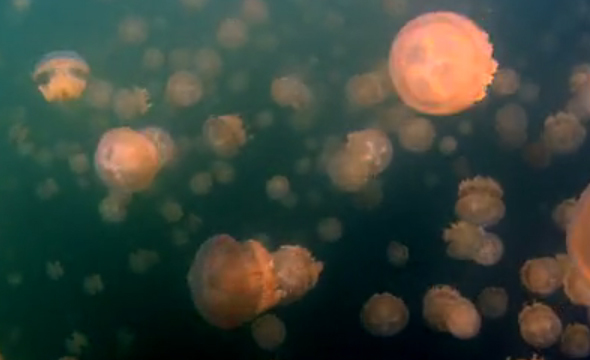 The golden jellyfish can only be found in a single lake on Eil Malk – one Palau’s tiny outlying islands. What sets the golden jellyfish apart is that they gain nourishment from the sun by hosting photosynthetic algae as symbionts inside their translucent domes. Their complex daily dance around the lake is driven by the need to keep their algae illuminated. There was a time in the Earth’s history, around 300 million years ago, when giant insects roamed the planet. Dragonflies with wingspans the size of a hawk soared in the air and millipedes over a metre in length darted around. Current thinking suggests that it was the oxygen-rich atmosphere that existed during the Paleozoic era that allowed giant insects to thrive. When the scorpion is hunting, it rests its legs in a circular array around its body. At the tips of its legs, there are eight acceleration sensors called slit sensilla that allow it to detect the low-velocity surface waves (known as Rayleigh waves) created by the movement of a single sand grain at distances of up to 20 cm. The most startling evolutionary advantage of the aye-aye is its unique middle finger, which is a grotesquely elongated, slender and bony structure with 360-degree movement on a ball-and-socket-like joint system. The aye-aye uses its finger to tap down the trunk of a tree, listening for a change in sound that might indicate the presence of a bug hiding inside. Once the aye-aye has gnawed through the wood, it deploys its finger again, spearing the grub inside the hole before levering it out to eat it. 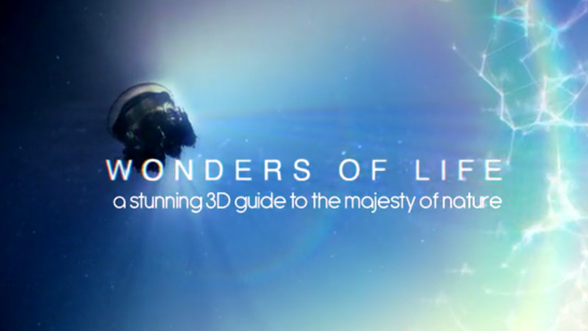 Brian Cox’s Wonders of Life is out right now on iPad and iPhone for £3.99. Click here to get it! What did you think was the most interesting fact? Let us know in the comment box below! I liked and enjoyed all ten short paragraphs of the wonders of life. Very interesting! !